The last few years I have revisited the stories of some of my childhood favorite sci-fi authors, and in particular Robert A Heinlein. It is fascinating to read stories written in the 50’s and 60’s and compare them to what actually happened. Last week I finished The Door into Summer (1956) which takes place in 1970 and in 2000. It is amusing to read about the household (and other) robots and how they are programmed using a kind of electronic tubes. My robotic vacuum at home is the size of a pizza box, not the human sized robots described in the book. Voice recognition is mentioned, but according to the book it is too complicated and bulky, except for a very limited vocabulary. Today we have voice recognition in every mobile phone, and programs like DragonDictate (later Dragon NaturallySpeaking) have been around since the late 90’s. In The Moon Is a Harsh Mistress (1966) one of the main “characters” is the computer Mike, who takes up a large building and control all of the Luna colony. This echos the quote attributed to IBM’s Thomas J. Watson: “I think there is a world market for maybe five computers”. The philosophy back then was that centralized computer power was the way to go, not the distributed systems we have today. And they were still using telephones with wires in the future. Today we use smart phones with more computing power than Heinlein could ever imagine, and probably more computing power than the computer in the book. And in Starman Jones (1953) the crew calculate their position largely manually, with the help of a computer that requires all the input data entered with binary switches, and returns the data in binary code using lights. The positions of the stars (used for the calculations) are recorded using “plates” which have to be developed, in other words traditional photography. Digital photography have today pretty much killed off traditional “chemical” photography using film. There are of course many examples of where authors been right and describe technical equipment which have actually been developed, like the water bed (Heinlein in aforementioned The Door into Summer) and tablet computers (Orson Scott Card in Ender’s Game from 1985). So in many ways we already live in the future, and in an even more amazing and technologically developed world than even the greatest sci-fi writers could imagine. I don’t think anyone envisioned Internet and it’s importance, even if Orson Scott Card does write about a world wide computer network used for information and discussion in Ender’s Game. But by that time Internet already existed (just not the world wide web) and the electronic bulletin board systems (BBS) were becoming popular in the late 70’s and early 80’s. 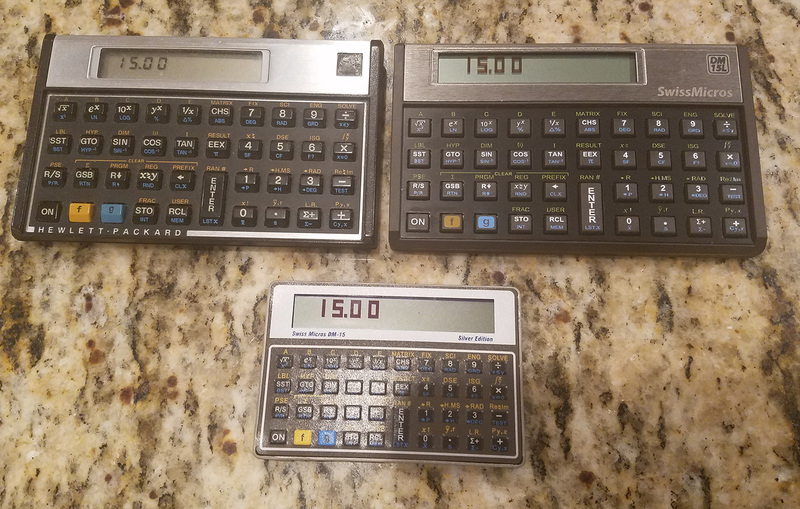 Personally I started connecting to BBSes in 1986 (possibly 1987) and in 1990 I connected to my favorite BBS almost daily. 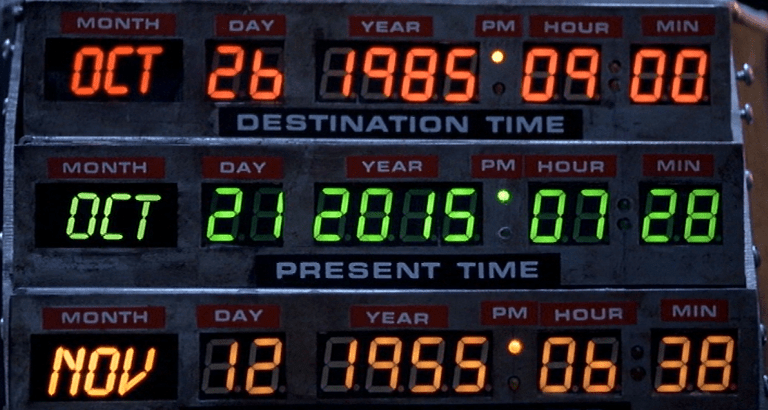 Sure, we don’t have the flying cars everyone expected, or even the hoverboards from Back to the Future II (1989). But I believe that the rise of Internet is perhaps the single most important event in recent history. It has revolutionized shopping, you can now connect to a site on the other side of town or the opposite side of the planet and talk to people or purchase products. We have sites like Wikipedia and Stack Exhange where we can learn things and ask questions, not to mention online learning. We have home automation that rival what is described in sci-fi books and movies. At home we are renovating (or rather rebuilding from scratch) our bathroom. We are going to install a Moen digital shower system as well as a pretty high-tech toilet. We already have a number of Insteon lights all over the house, controlled though a hub and a smart phone app (some lights are even turned on and off on a schedule based on sunset and sunrise), as well as a robotic vacuum. The latter is cleaning the house twice a day by itself, which is keeping the pet hairs under control and improving the air quality substantially. There is so much more you can do to your home these days, including changing the temperature remotely and even monitoring and controlling your hot tub. My car has a radar to automatically break if someone walks out in front of the car, and this feature has been improved even more in the latest models. When the car is not braking by itself, the radar assisted cruise control let you drive safely behind other cars while you stream live radio from the other side of the globe through the Internet to your phone and then over bluetooth to the car stereo. 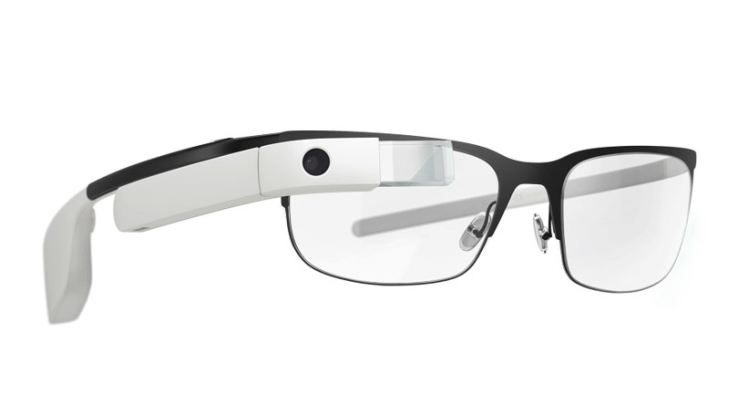 Google abandons Google Glass – what is next? Google today announced that they are discontinuing Google Glass, the somewhat controversial eyeglasses connected to your smartphone. The product may be dead, but the project is not officially abandoned. Google will continue to invest in their enterprise offering Glass at Work, and they say they plan to release a new model of the device “when it’s ready”. This add Google Glass to a long line of other products and services Google have abandoned. Who does not remember Google Wave, an attempt to reinvent email? What about Google Answers? Google Video, an attempt to compete with Youtube, before they ended up buying that company instead? What about Dodgeball, the mobile social networking site purchased by Google whose founder left and went on to start FourSquare? There are many other products also shut down by Google, or companies bought up and later killed. So with this kind of track record, I am not sure I would trust Google Apps with my enterprise data or business critical applications. Yes, Google Apps is not a free service for businesses like Gmail, but neither was Google Glass at a cost of $1,500 each. So being a paid product does not seem to stop Google from killing products. Is the break-through for smart watches almost here? In a few days, Motorola will present their highly anticipated Moto 360 smart watch, and at the IFA trade show in Berlin next week LG will show off their latest entry in the battle for the hearts (and wrists) of geeks everywhere, the G Watch R. Both watches are round, as opposed to previous entries (including LG’s previous model, the original G Watch) and the Samsung Gear series of smart watches. There are some differences between Moto360 (left) and G Watch R (right). LG is going with a more traditional watch look, with a bezel around the edge to hide the small blank section at the bottom of the screen that is more visible on the slightly larger (1.5 inch vs 1.3 inch) screen on Moto360. That blank section is where some of the screen components are located, and this “flaw” has been critized by many, even before the watch has been released. Both watches are protected against water (so you can wear it in the shower), features a heart rate monitor, a touch screen and running Android Gear. Moto36 will use a wireless charging station and also contains a pedometer, and s expected to cost $249 when it is realeased in the near future. No price have yet been announed for the G Watch R, which is expected to be available later this year. Samsung is also rumored to present something at IFA, probably a round smart watch as well, but no details about it is known. They are also expected to present a new square model in the Samsung Gear family. I think we are now getting close to the break-trough for smart watches. They look more like regular watches, with a round shape instead of the boxy square look of the first generations of smart watches. Personally I think that G Watch R is more attractive than Moto360, and to me the slightly smaller size is a plus. I think we have an interesting fall ahead of us, especially with the Apple event coming up on September 9, where their smart watch is expected to be announced. The Android Gear watches from LG, Motorola and Samsung only work with Android phones, not with iPhones. Bose, well known for their noise-cancelling headsets and bluetooth/iPhone speakers in the SoundLink/SoundDock series, today presented a new series of multi-room audio products, which they intend to compete with Sonos Multi-Room Music System. Today three products were released in time for the holiday season, with more products in the works for next year. I was able to play around with them for a little while, and I have to admit, they sound really good. 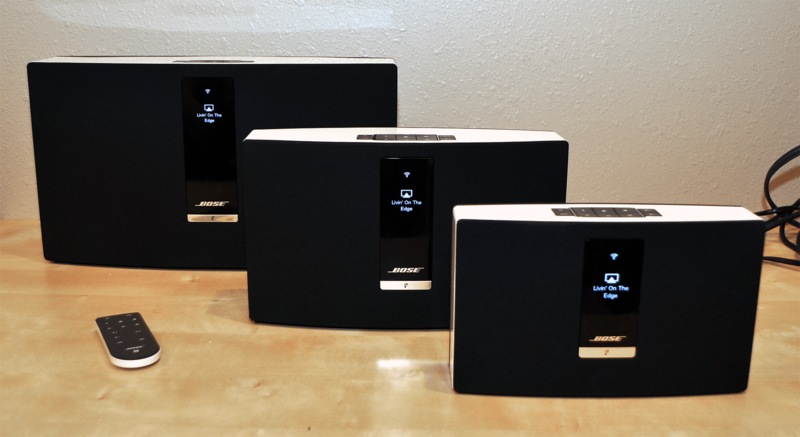 SoundTouch 30, Soundtouch 20 and SoundTouch Portable. This is the biggest of the three devices, a powered unit with a built-in subwoofer, giving it very nice bass. It connects to the home network and Internet through either wired ethernet or wifi. The price is $699. This is a smaller version of the SoundTouch 30, identical except for removal of the subwoofer. The bass is surprisingly good, but naturally not as powerful as in its larger sibling. The benefits are the smaller size and a lower price at $399. The baby in the family. As the name indicates, it is portable and the battery lasts for 5 hours, according to Bose. It also lacks wired ethernet. The size is slightly larger than the Bluetooth-equipped Bose SoundLink, to a price of $399. All units have the same basic design, with six preset buttons on the top, which can be designated to different music sources, and an OLED display on the front showing status and listening mode, as well as artist and name of the song currently played. Initially SoundTouch support Pandora, Internet radio and music stored on your network or computers, using iTunes or Windows Media Player. On iOS devices, AirPlay can be used to stream music to the speakers as well. Support for Spotify, iHeartRadio and XM/Sirius is coming soon, according to Bose, with more music sources arriving in 2014. Each unit comes with a remote control, and also has an aux in port on the back, together with two USB ports (one micro-USB and one standard USB) used for the initial setup. There are apps for iOS and Android, as well as for OS X and Windows. 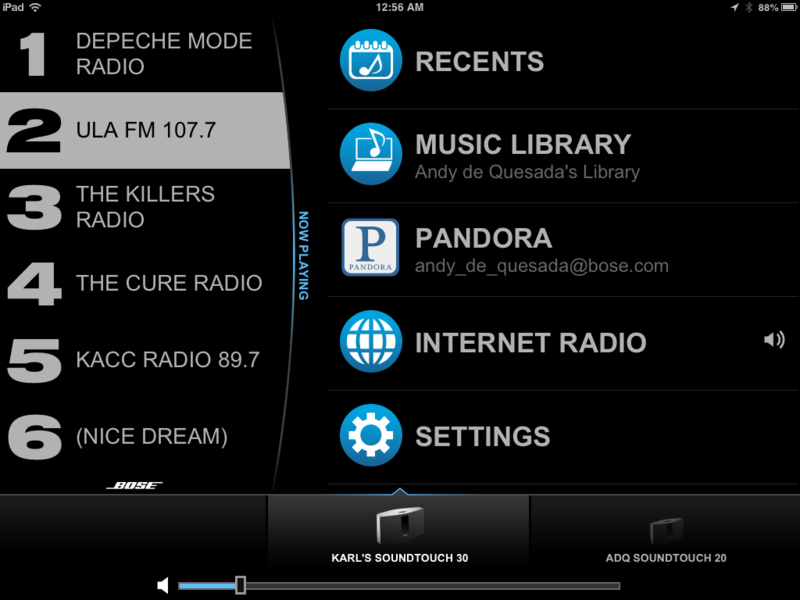 The apps let the user control the different devices, and play either different songs on different speakers (for example in different rooms), or the same song on all units. One of the upcoming products for next year is the $99 SoundTouch Controller, a circular controller with a central OLED display that displays the same information as the display on the SoundTouch units, as well as six preset buttons arranged around the display. Among the other products in the SoundTouch series coming in 2014 is a $499 outdoor amplifier bundled with the SoundTouch Remote, and a $1,199 subwoofer and two speaker packages. This also includes the SoundTouch Remote. After comparing the three units side-by-side, my personal favourite is the SoundTouch 20. It hits the Goldilocks zone, with great sound to a substantially lower price that it’s larger sibling. The SoundTouch Portable is nice if portability is important, but the sound is thinner and not nearly as good. Since none of the SoundTouch models support Bluetooth, they do not really compete with the SoundLink or the recently released SoundLink Mini, both which are less expensive but lack most of the advanced functionality in the SoundTouch series. 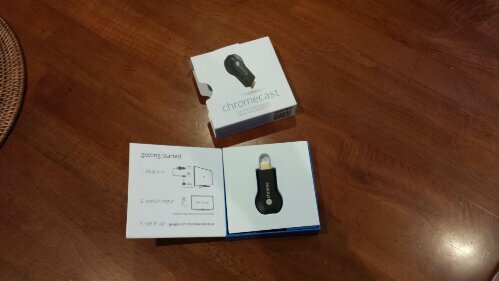 This weekend I got hold of Google’s latest gadget, Chromecast. As you may know, it is a small device, the size or a large thumbdrive, but with an HDMI connector instead of a USB connector. It allows you to stream video (currently from Youtube, Netflix and Google Play) to a TV, as well as mirror the screen of the Chrome browser on the TV. In the box, you get the device, a USB wall charger, a mini-USB cable and a short HDMI extension cable. The installation is extremely simple. First of all, you need a wireless network, and a device running Android, iOS or the a Windows/Mac computer running the Chrome browser. Plug the Chromecast device into an available HDMI-port on the TV, connect the mini-USB power adapter and plug it into an outlet. Power on the TV, and you are directed to download the app to your smartphone/tablet or a small program to your computer. On the computer you also download an extension to the Chrome browser that let you mirror the screen on the TV. I downloaded the Android version of the app on my Samsung Galaxy S4, and it found the Chromecast device at once. I connected to the device, and was now able to start playing videos. The total time to hook everything up, installing the software and connecting my phone to it took no more than 3 minutes. After playing a couple of Youtube videos and starting a movie on Netflix, I decided to test the screen mirroring. The browser extension simply adds a small icon in the browser, and when I click it, the contents of the browser (excluding the title bar, menus, status bar, etc) are displayed on the TV. 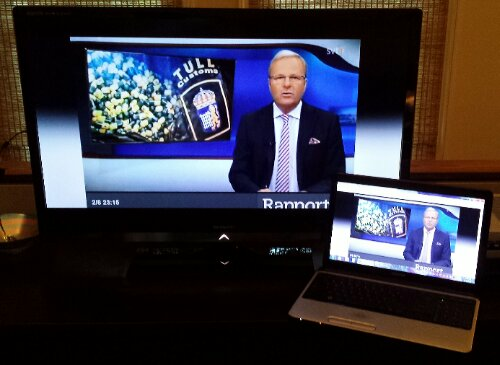 I tested some streaming video from Swedish TV, watching a news show. It worked perfectly, but there was a delay of between 2 and 3 seconds between the computer and the TV. The sounds comes out of the TV speakers, and during my testing the sound and picture quality was good. I was not performing the test on my network at home, and because of a sometimes weak signal, one of the Youtube videos had to buffer a bit. 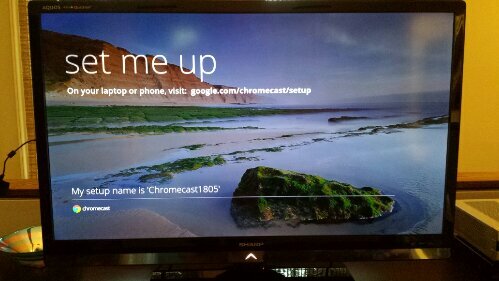 The Chromecast device works by running an embedded version of Chrome OS, which in turn is based on Linux. 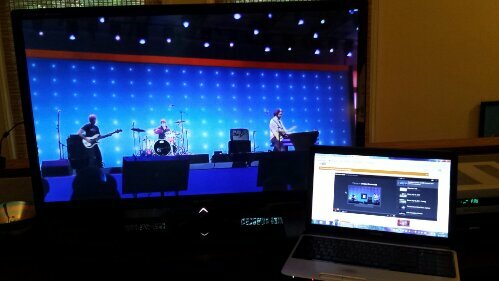 It then stream videos to the TV directly from the source. Netflix, Youtube and Google Play all have software in the device to handle their streaming content. The laptop, tablet or phone is just a remote control, starting/stopping/pausing the video (or in the case of Netflix, going back 10 seconds if you missed something). I am guessing that the screen mirroring works the same. I would imagine that the browser plugin is just sending commands to the embedded Chrome browser in the device, duplicating what happens on the screen. So what is my verdict? Well, for $35, it is a great little gadget. For me personally it is perfect, I can now watch TV shows from Sweden even while in the US, without having to hook up a computer to the TV. I can use a laptop or smart phone as a remote. I have not been able to get Chrome on Android to mirror it’s screen, but I can see apps and hacks for Chromecast coming out very soon. If you already have Youtube and Netflix in your TV or blu-ray player, then Chromecast might not be as interesting. But if you want to use the screen mirroring, it is great. That function would also be very good for presentations on a big screen TV. In short, a very cool and fun gadget, to a very reasonable price. It is not threatening Apple TV or Roku yet, but is a nice low-cost alternative. 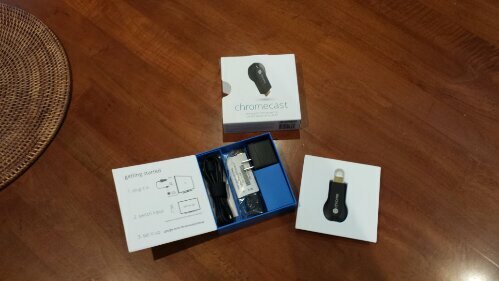 Currently it is very hard to get hold of a Chromecast, they sold out within hours of becoming available. A big thanks to Chrissy Hull, who let me test the one she got, making this review possible. In the department for cool gadgets, AlwaysInnovating is developing MeCam, a small helicopter (or nano copter as they call it) that fit in your palm and can be controlled by voice and stream video to your smartphone. It can take 360 degreee panorama pictures and even uses noice cancelling to remove the motor sound. The device is powered by an ARM Cortex A9, and it has 14 on-board sensors to prevent it from hitting walls or objects as it follows you. MSRP is said to be $49 when it is available. Read more here.